Lever Basin Tap Reviver Kit 1/2"
Update old and broken taps. Easy to fit. Lever Basin Tap Reviver Kit 1/2" (2 Pack) is rated 4.8 out of 5 by 40. 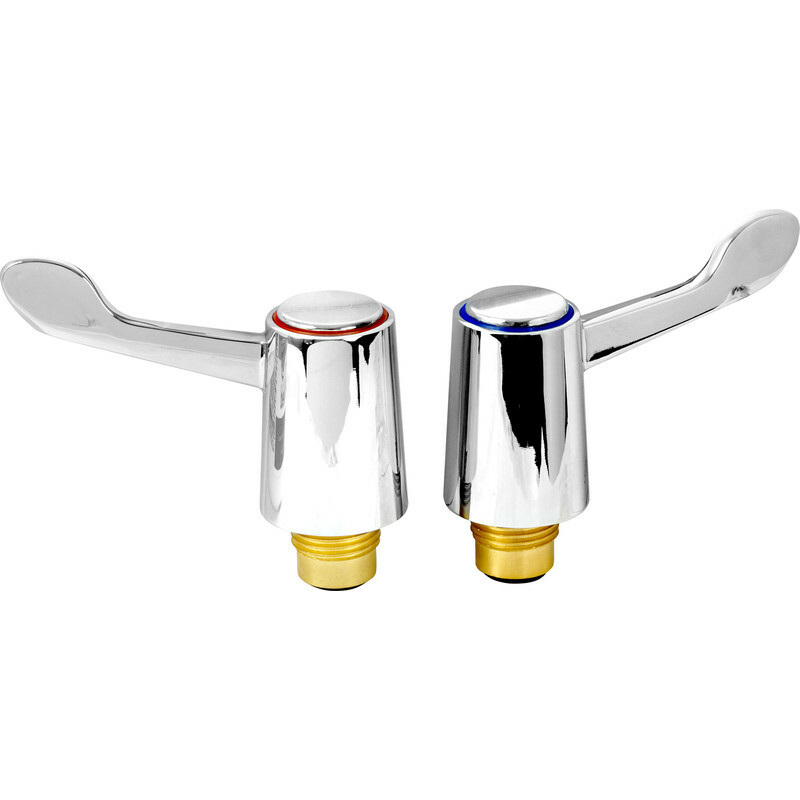 Rated 5 out of 5 by Tony555 from Good quality Taps perform really well and were a cost effective way of rejuvenating my leaking Ceramic Taps. Rated 5 out of 5 by Tilchestuner from If you can change a tap washer - You can fit these Really pleased - easy conversion of old style acrylic headed kitchen taps to easy operation non-dripping taps, which have improved life for my 86 year old mother. Water off. off with the old headworks, on with these, water on, job done! Rated 5 out of 5 by The Jogger from Cheap Solution I had some taps that failed to open, then later opened and kept running. These were a simple cheap fix and the taps are now better than before. Rated 5 out of 5 by Mikey71 from Excellent My bathroom Basin taps were a bit stiff for my arthritic hands, this kit completely transformed them, so easy to fit and a lot easier to use . Rated 3 out of 5 by Lbutler7 from Ok if tap is 1/2 inch But if tap 3/4 give up because adapter won’t work.